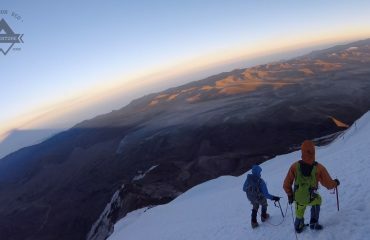 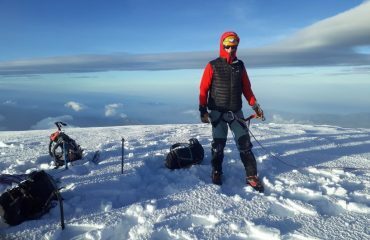 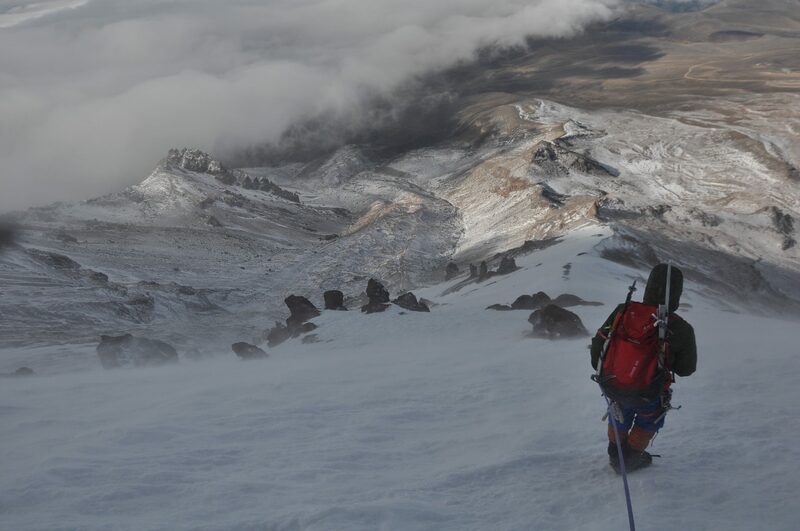 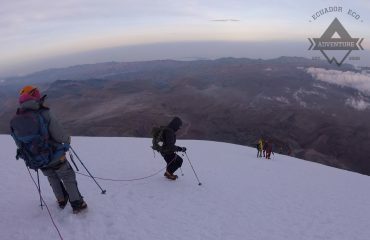 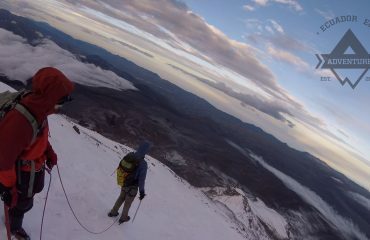 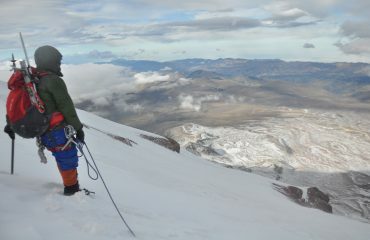 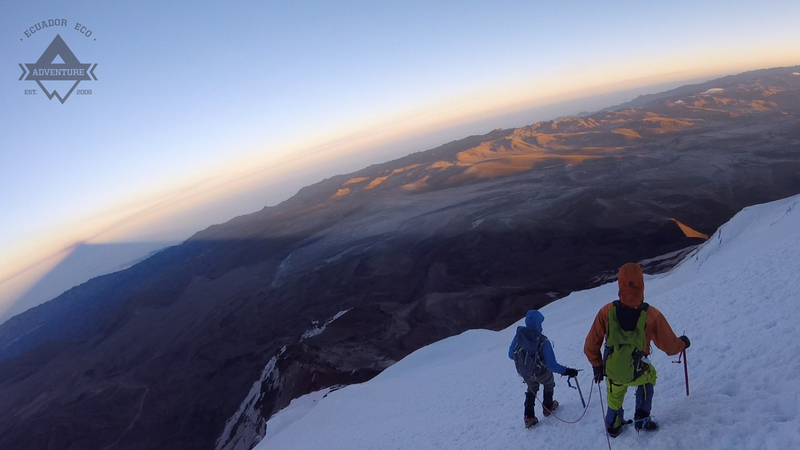 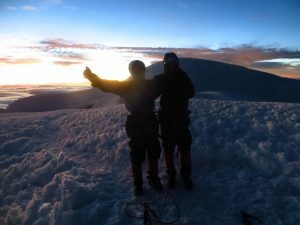 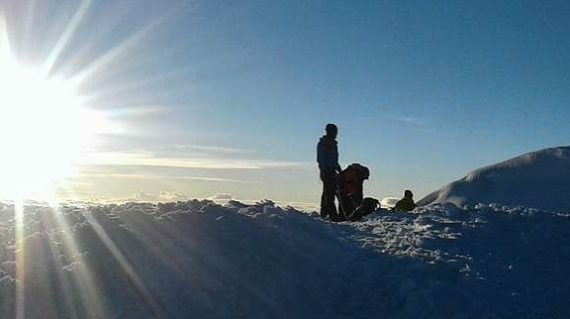 Climb Chimborazo in Ecuador South America. Chimborazo is the largest mountain in Ecuador and its 6,310 meters (20,565 ft) equatorial summit is the closest point to the sun on Earth. 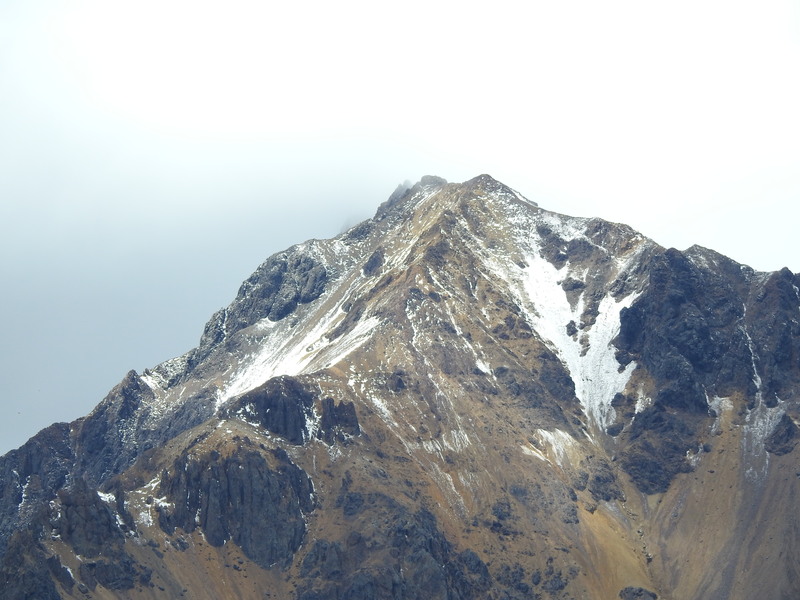 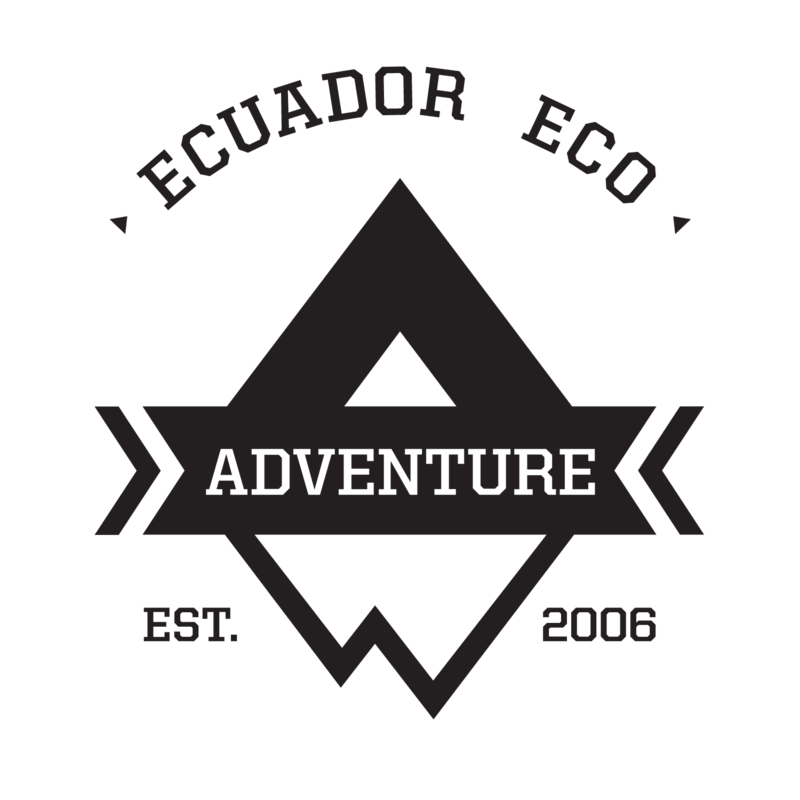 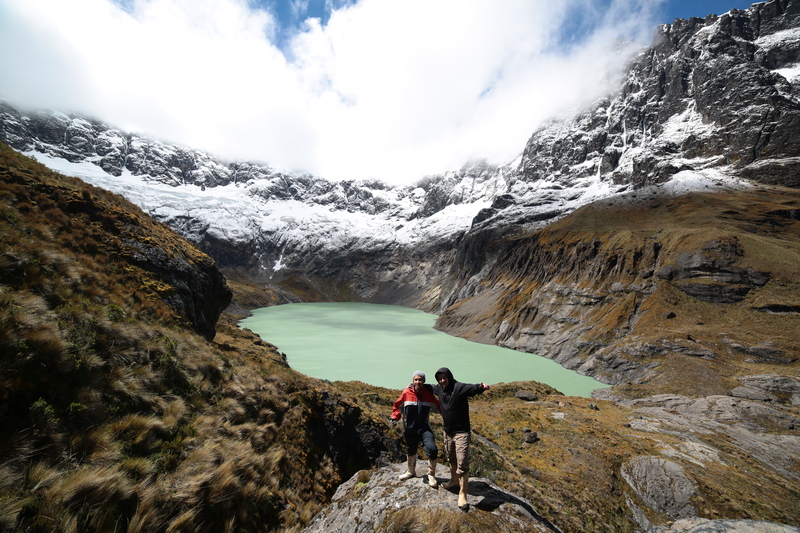 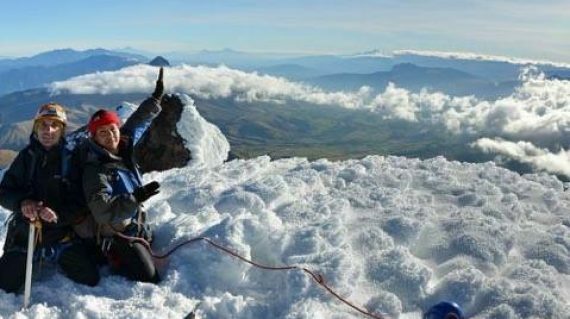  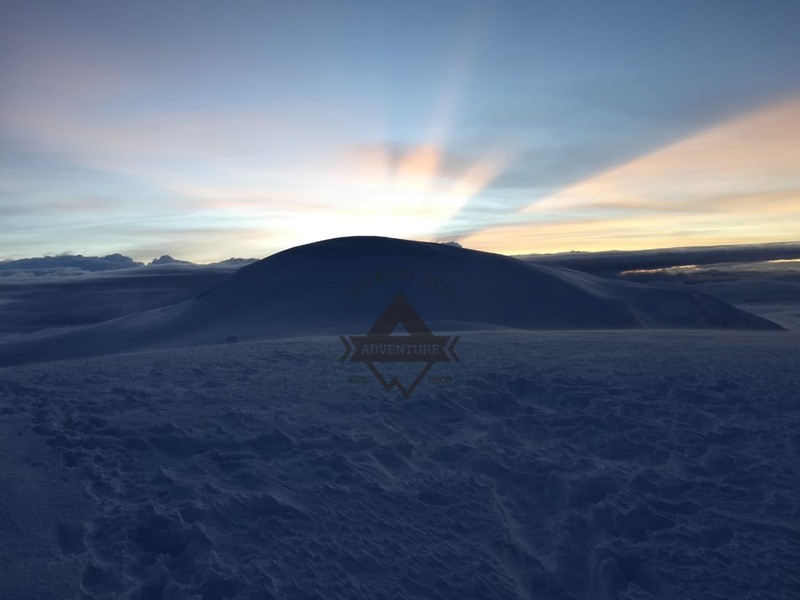 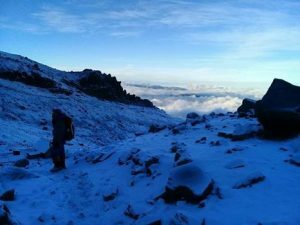 Our experienced high-altitude mountain guides are certified with the Ministry of Environment and Tourism to work inside Chimborazo National Park as well as ASEGUIM, the national mountain climbing association of Ecuador. 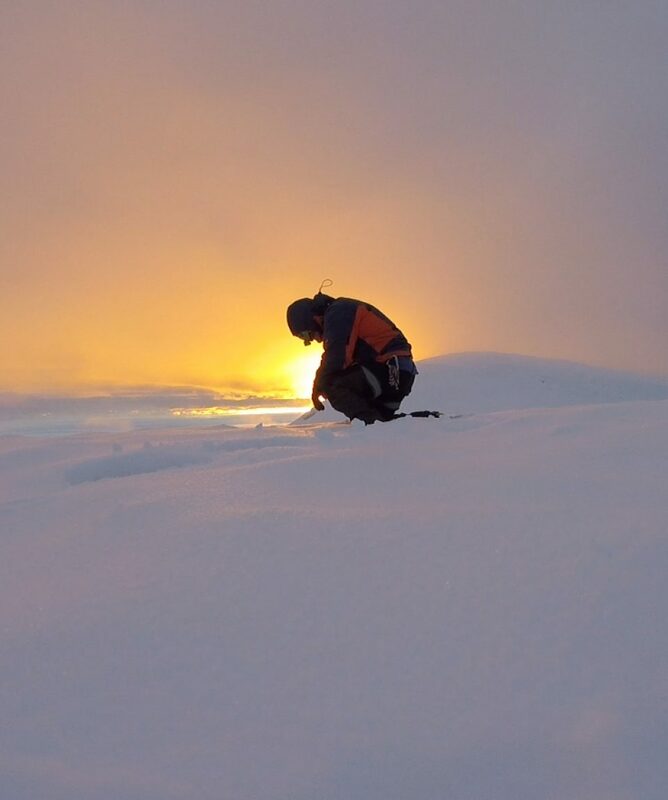 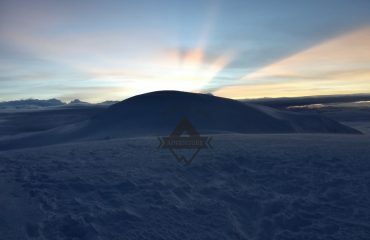 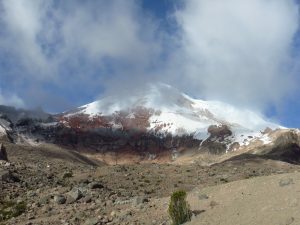 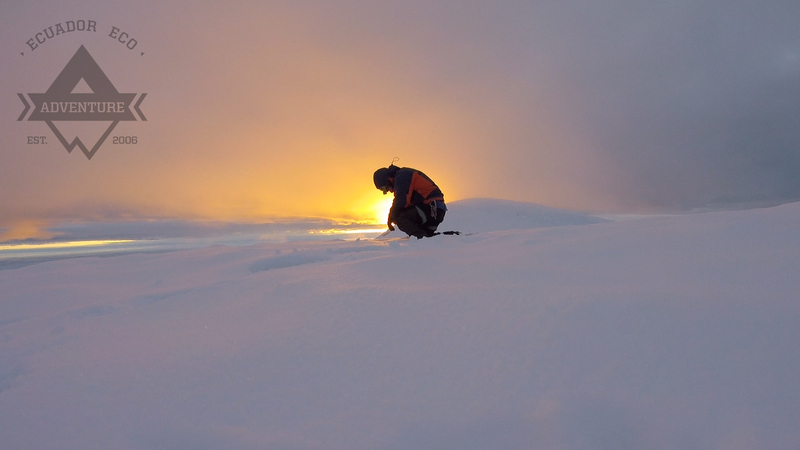 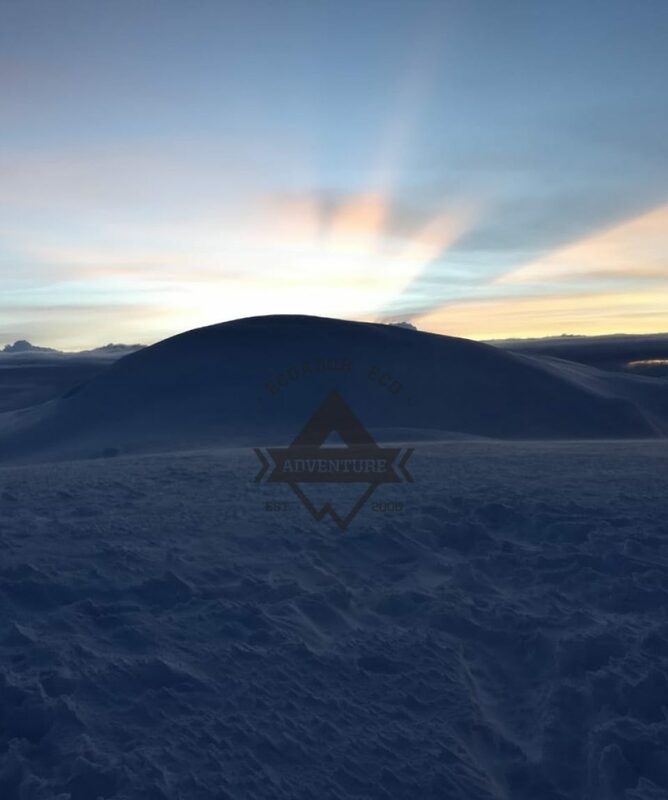 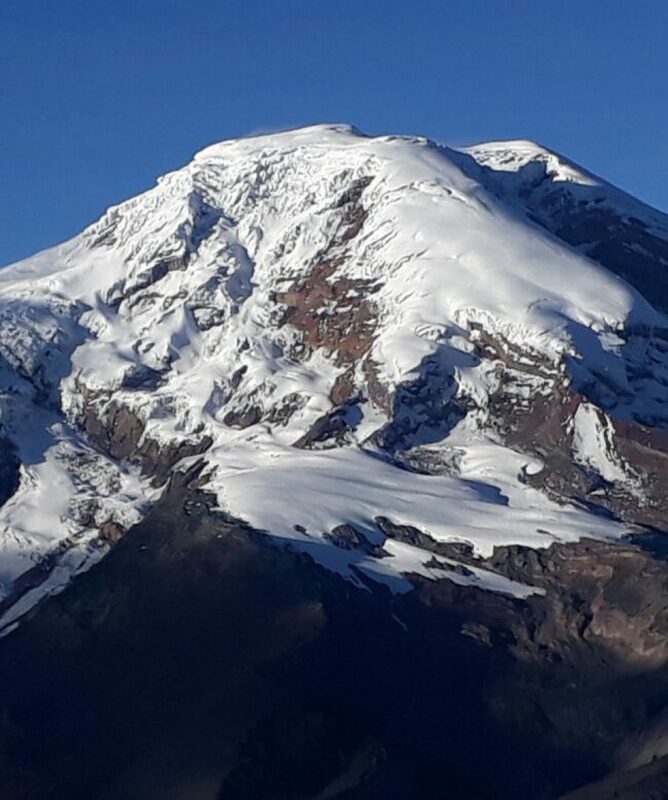 Training for Chimborazo: We recommend for climbers to get well acclimatized for Chimborazo prior to starting the expedition. 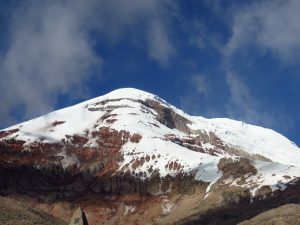 Chimborazo is a difficult climb but it’s not a complete technical climb and most of the ascent is a steep trek up the side of the mountain. 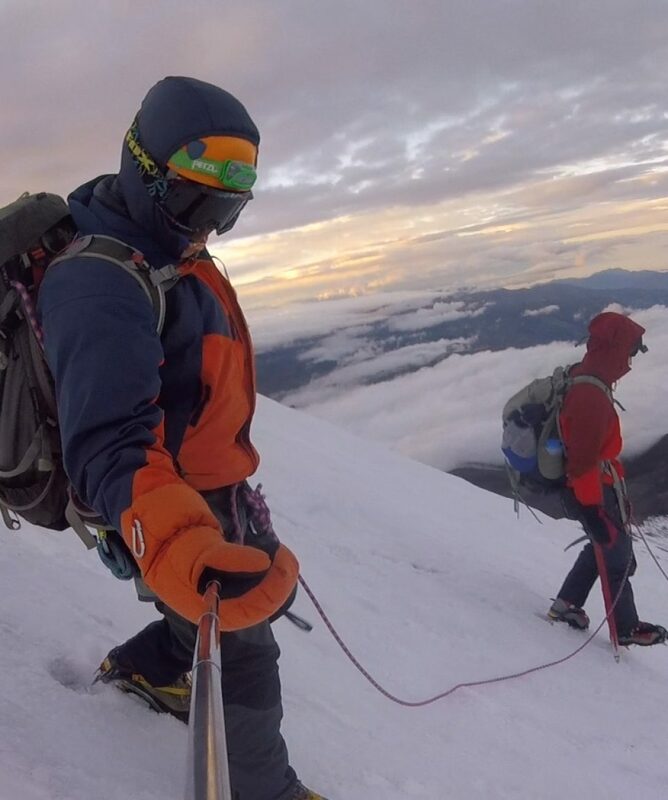 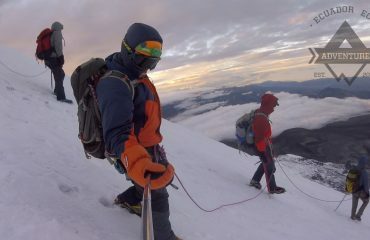 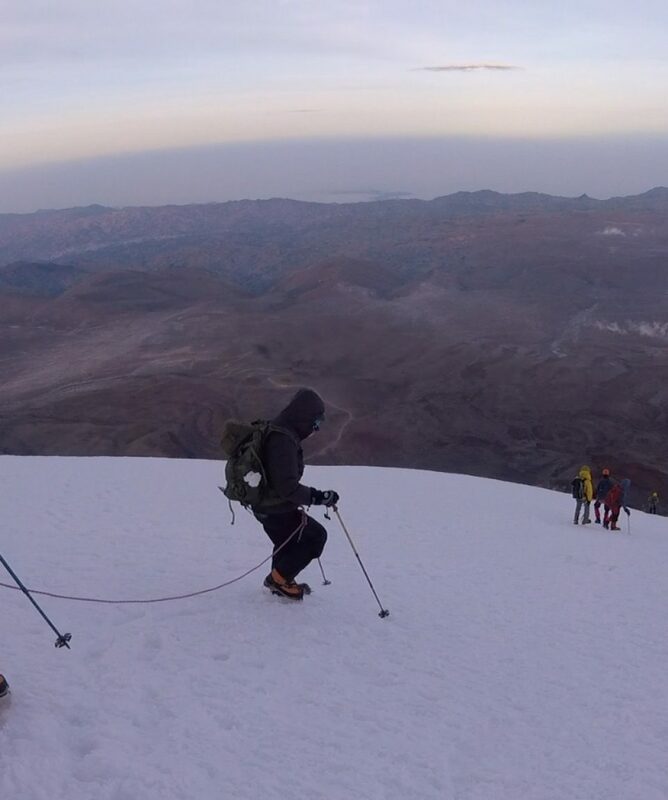 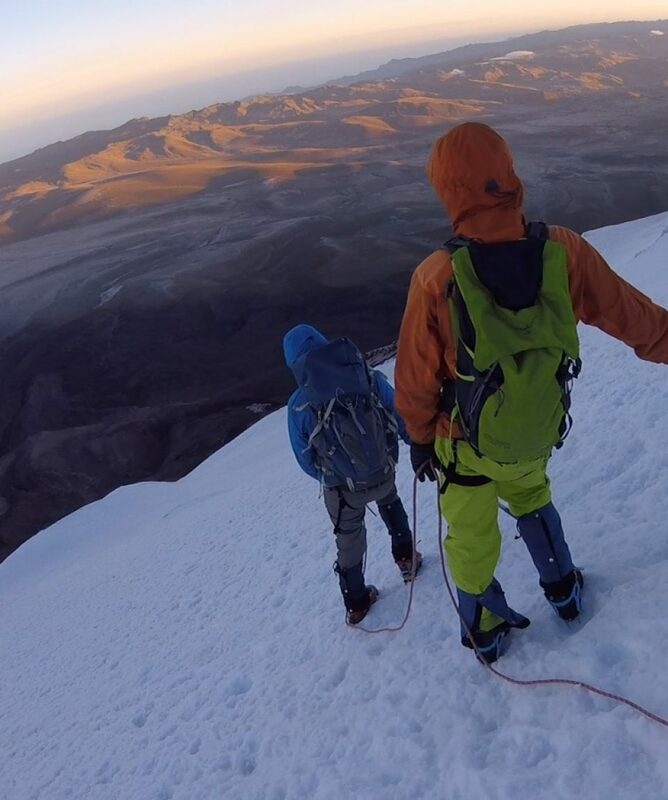 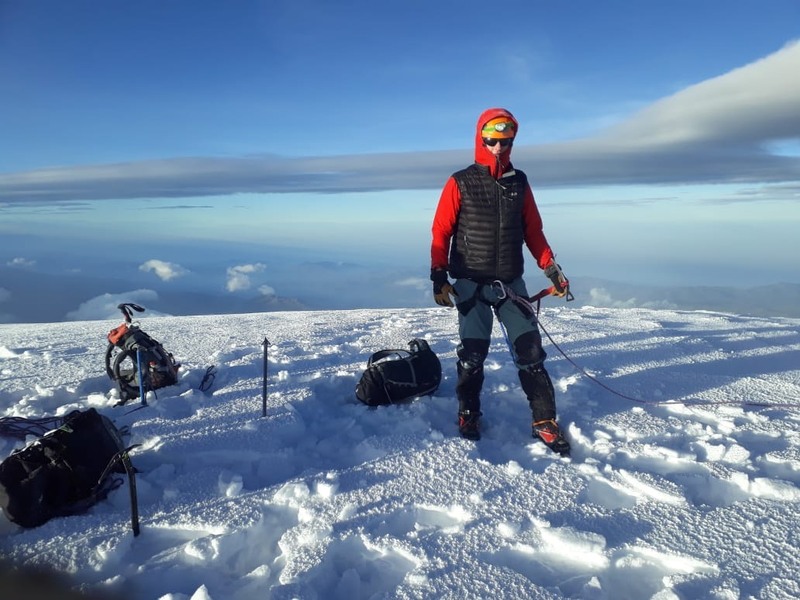 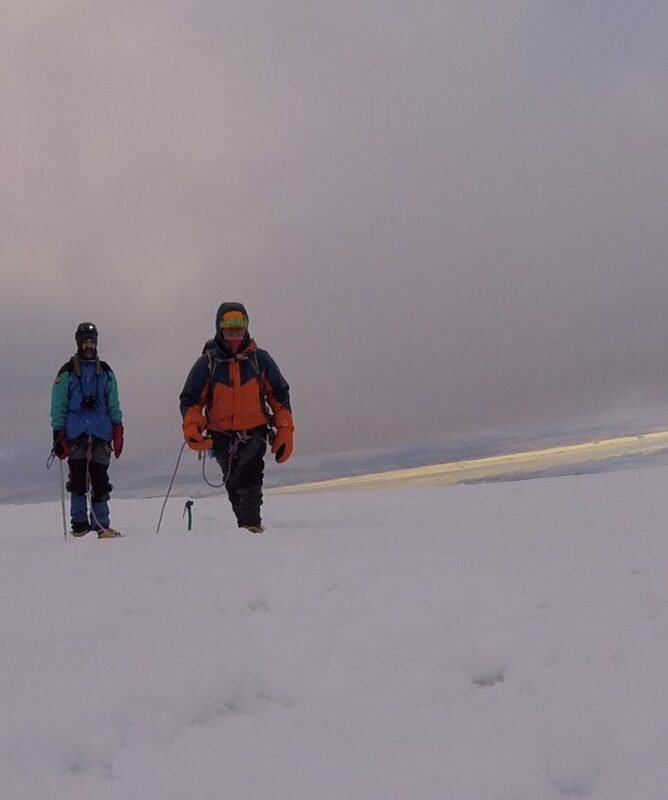 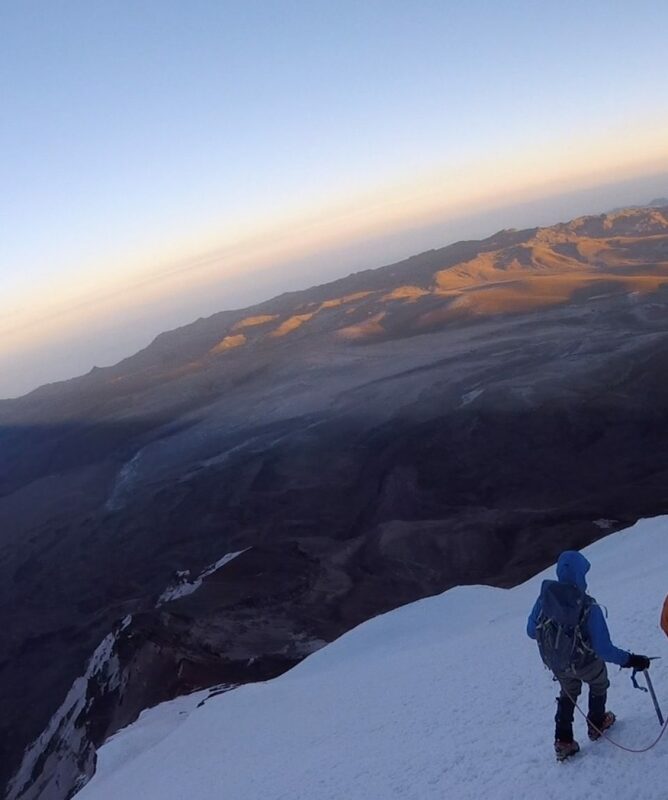 Prior to taking the challenge of climbing Ecuador´s highest peak, we suggest climbers train for Chimborazo, doing smaller mountains or multiple day treks enhances the chances for better acclimatization. 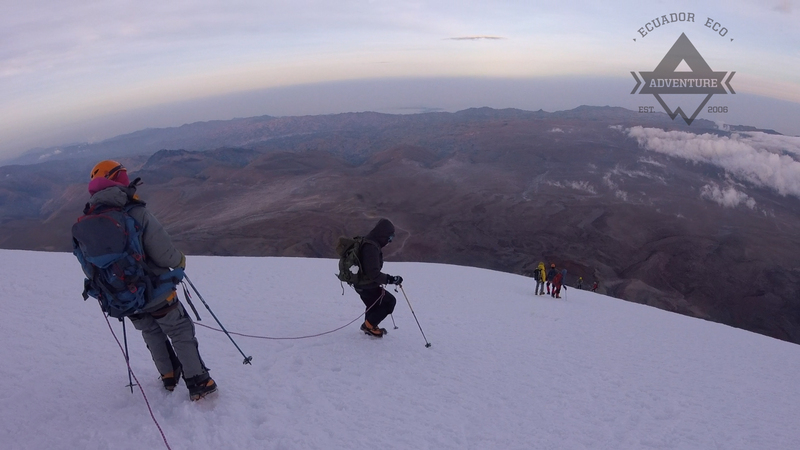 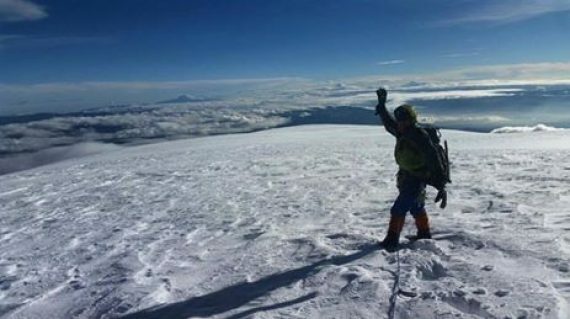 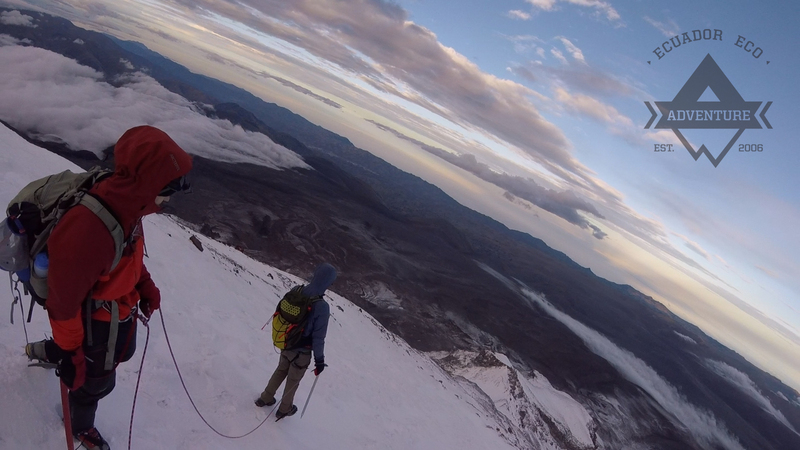 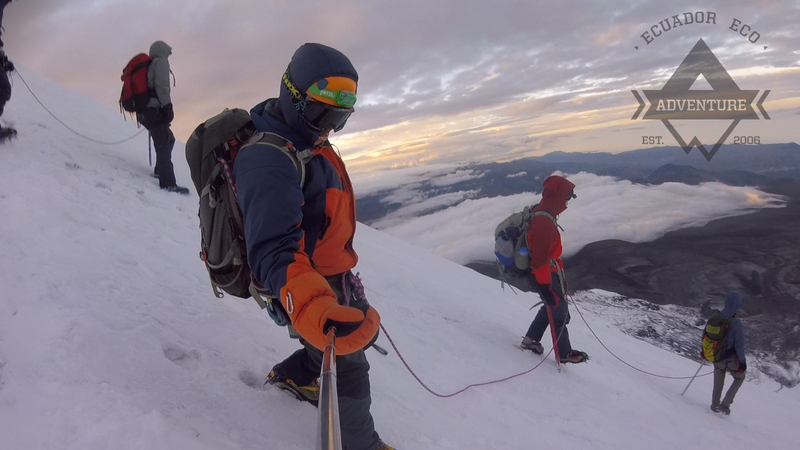 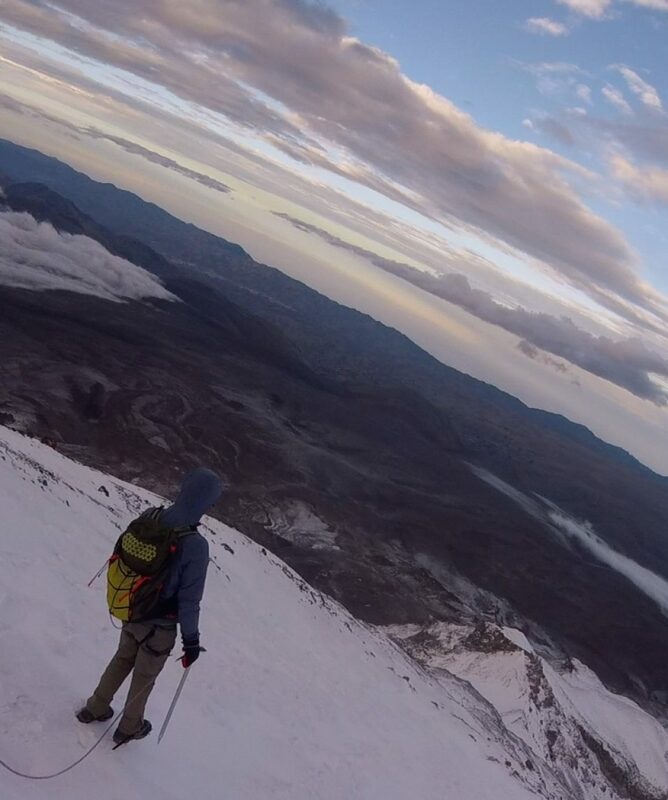 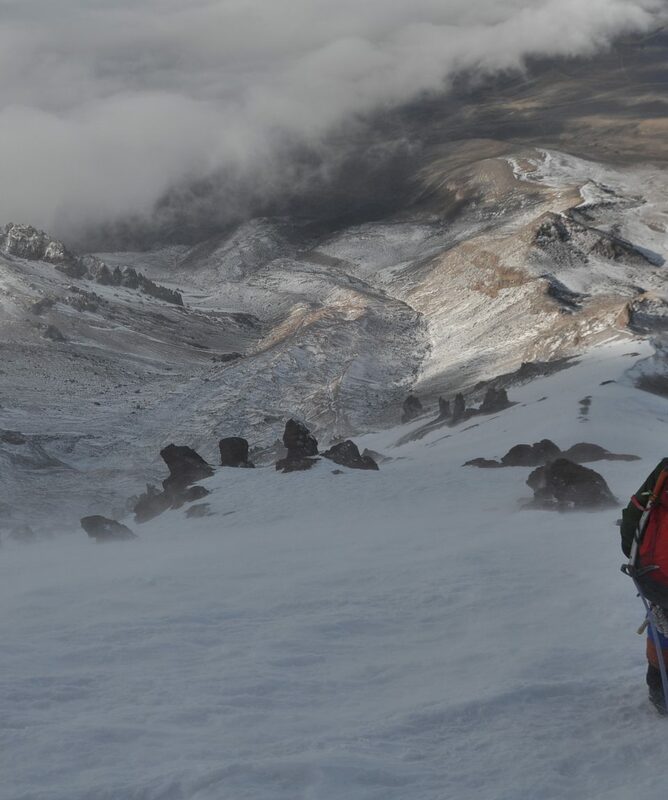 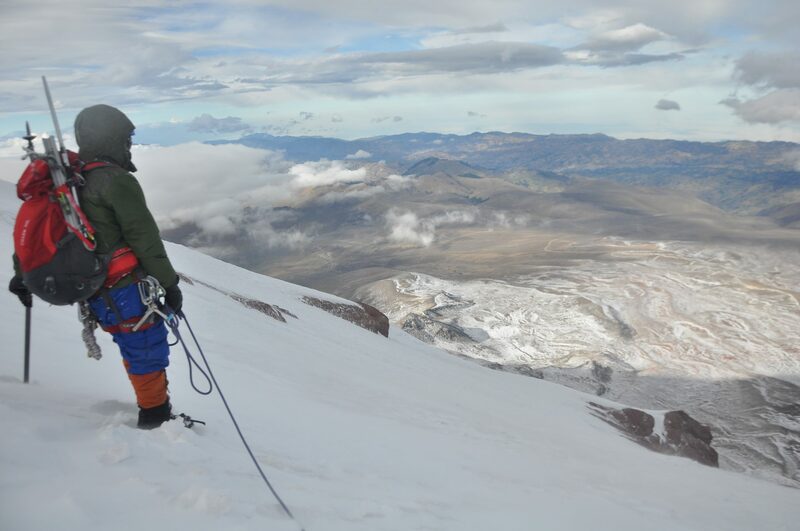 All about the Climb Chimborazo. 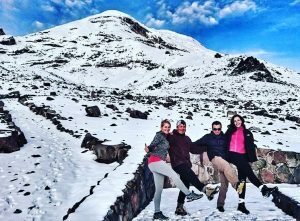 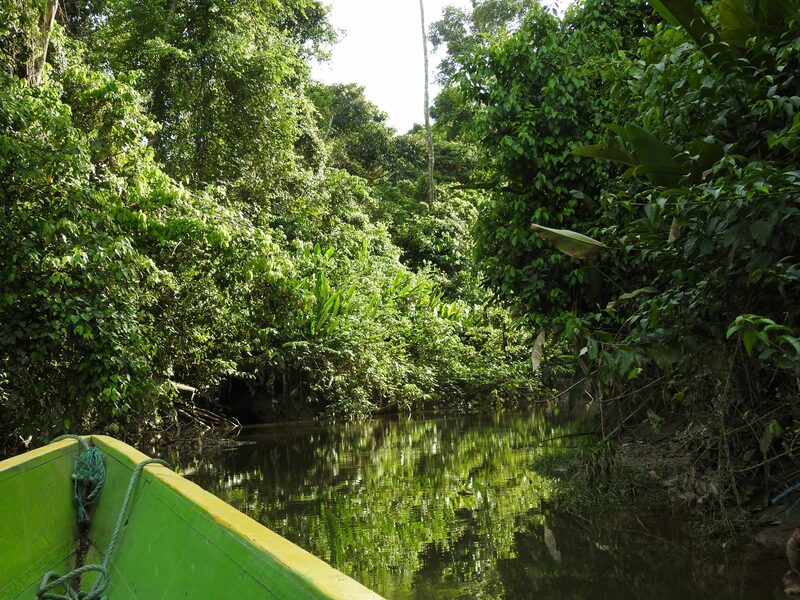 At 1 pm we start the drive for Chimborazo mountian, after checking gear and suplies, inthe entrance to the national park we register the group and continue to carrel refuge. 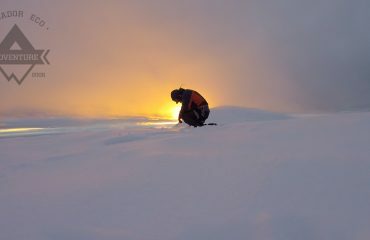 once there we wait for 5 pm dinner, and then rest unitl 10 pm.